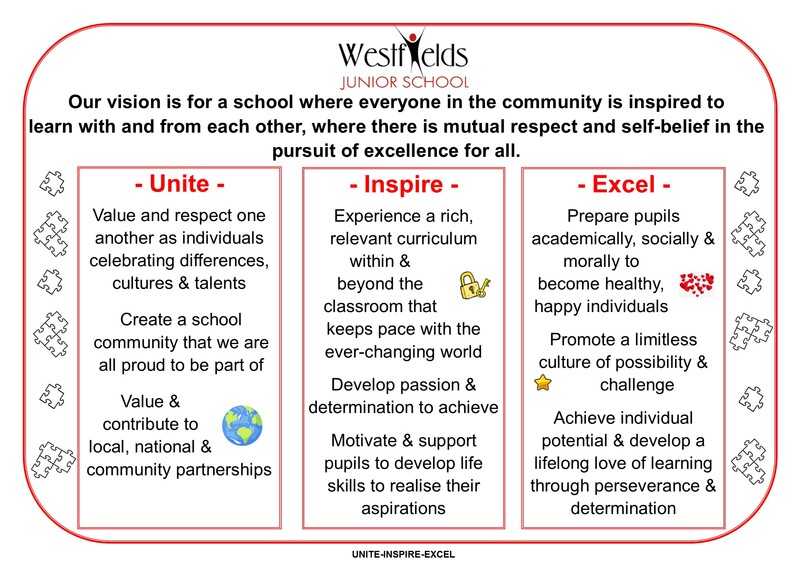 … a school where everyone in the community is inspired to learn with and from each other, where there is mutual respect and self-belief in the persuit of excellence for all. Our mission is that …. … our children go into the wider world happy, confident, responsible citizens who are curious and respectful of all. They have a sense of self-worth, are well-equipped for the future, able to cope with change and make positive use of technological advances.